Lindiwe Dlamini is Group Executive – Human Resources at PPS. 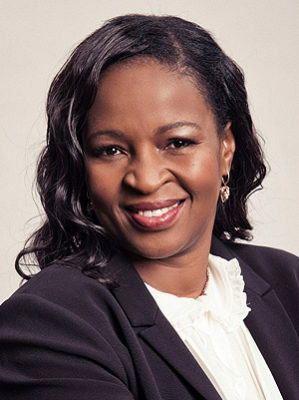 She was previously MD – Retail at Alexander Forbes and Group Executive for retail operations in South Africa at Liberty Holdings. She has 20 years financial services experience spanning short-term insurance, health insurance and life-insurance. She has worked in financial services in legal advisory services, compliance and risk management and has served on several Boards of Trustees and corporate boards. She holds BA and LLB degrees from the University of Swaziland and an LLM in tax law from Wits University. She is also a Certified Financial Planner (CFP) and has undergone senior leadership training at Manchester Business and more recently participated in a Global Leadership course at the Thunderbird School of Global Managed in Phoenix, Arizona. She regularly indulges her wanderlust tendencies whenever the chance avails itself. She has a passion for mentoring and coaching young women. She is a Fellow of the sixth class of the Africa Leadership Initiative-South Africa and a member of the Aspen Global Leadership Network.